Castle Rock is a fantastic place to live. This small suburb sits far enough away from Denver and Colorado Springs to give you a little space from the big city, but still, makes all the fun big city activities completely accessible to you and your family. The economy of Castle Rock is bustling and as such so is home ownership. The houses in Castle Rock are beautiful and range from old Victorian style houses to more modern styles and everything in between. 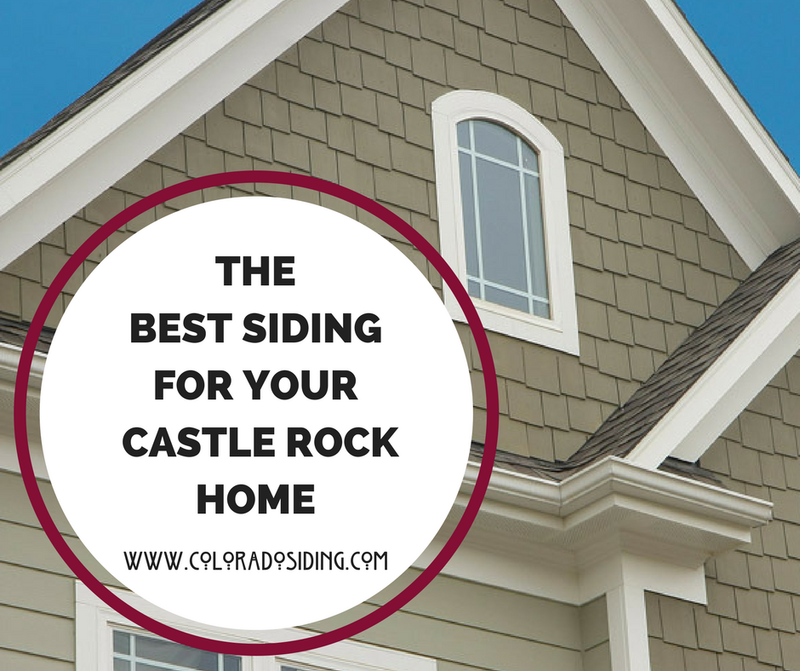 As a homeowner in the lovely city of Castle Rock you want to keep your home looking good and in line with the very high bar set by other homeowners in the Castle Rock area, which is why when you decide it is time for new siding you want to make sure to choose wisely both your product and installer. There are numerous types of siding out there for you to choose from–so which one is right for your Castle Rock home? We generally recommend James Hardie as it is by far the most durable brand on the market and perfect for the rough Colorado weather. For homes with a value of less than $270,000 vinyl can be an option but anything above that value requires a siding to match its higher value. When looking for a siding installer for your Castle Rock home it is important to go with someone who is trusted both in the community and by the brands they install. Colorado Siding is a James Hardie Elite Preferred Installer–their highest installer rating. Additionally, we have an A+ rating with the BBB and an excellent reputation among our community. If you live in Castle Rock and are looking to refresh the face of your home, contact us at Colorado Siding for more information and to schedule a free in-home consultation.